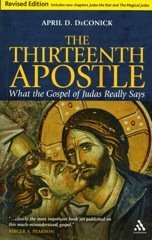 Over on Euangelion, Michael Bird posted on Nick Perrin's new book, Thomas, The Other Gospel. I too have seen this book, and since my work is one of the main books that Perrin interacts with, I send out a caution to those who read his book. My work (Recovering the Original Gospel of Thomas) has been grossly misappropriated and misrepresented by Perrin. His descriptions of what I say are not accurate or trustworthy. I wish to distance myself as much as I possibly can from his complete disregard for my actual speech. I have never before found myself in the awkward position of reading someone's else's work and wondering why the author found it necessary to so thoroughly misrepresent my actual speech, putting words and positions into my mouth that I have never and would never hold. I do know that my compositional hypothesis makes his (dependence on Tatian) untenable, as do Stephen Patterson's and Elaine Pagel's own hypotheses which he also critiques. But I find highly unusual and unprofessional the way in which Perrin attempts to critique my work, by critiquing his own caricature of my work rather than the work itself. I am considering, over the next few days, posting all details, because I want to immediately set the record straight and provide some distance between his bizarre rhetoric and my actual positions. April, please do post the details. I've been through your book a few times, and I'm curious about how (and why) Perrin distorts your position.